Day 1 – Dropped by a pasar malam. Then had a seafood dinner, where Nadia discovered suspicious-looking stuff inside the crabs. Day 2 – Nice lunch by the beach at Scarborough Fish & Chips in Pantai Tanjung Rhu. 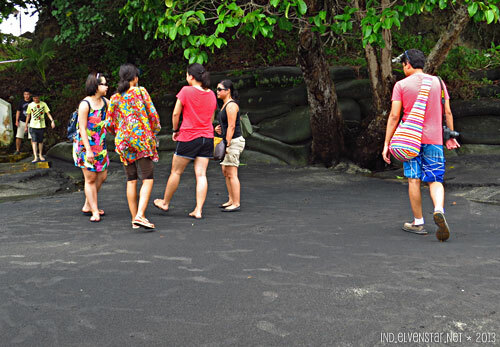 Brief jaunt to Pantai Pasir Hitam – Black Sand Beach (see picture above). Some of us went for a mangrove tour and got caught in a sudden rainstorm. Dinner at Pantai Cenang area. Day 3 – Temurun Waterfall.